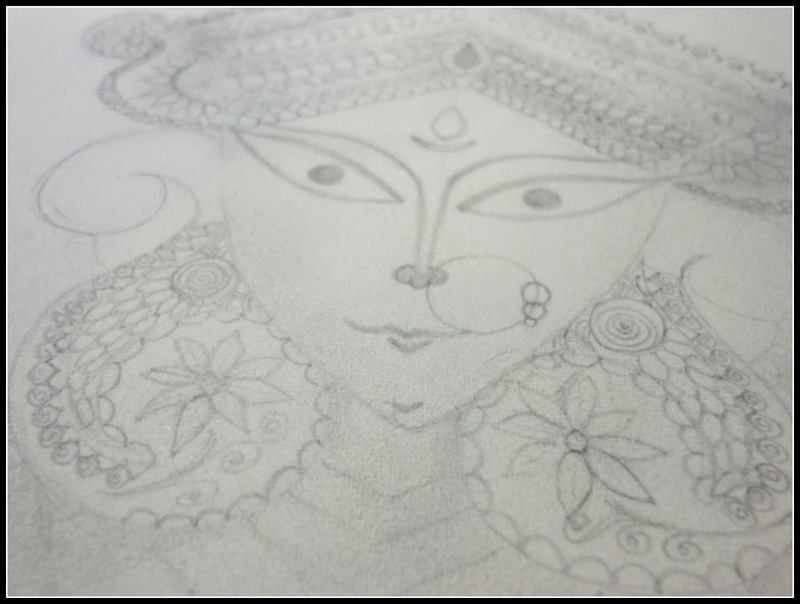 Durga Maa – Pencil Sketch/ Line Art. My First Sketch. I almost forgot that once sketching was my hobby.In the past few years.. by few I mean almost ten years.. my life has changed completely. I got married, had a son, bought a house, had a job etc, this has all kept me busy. My son has started going to school and that would mean I have a few free hours. I started doodling around and came up with my first sketch. 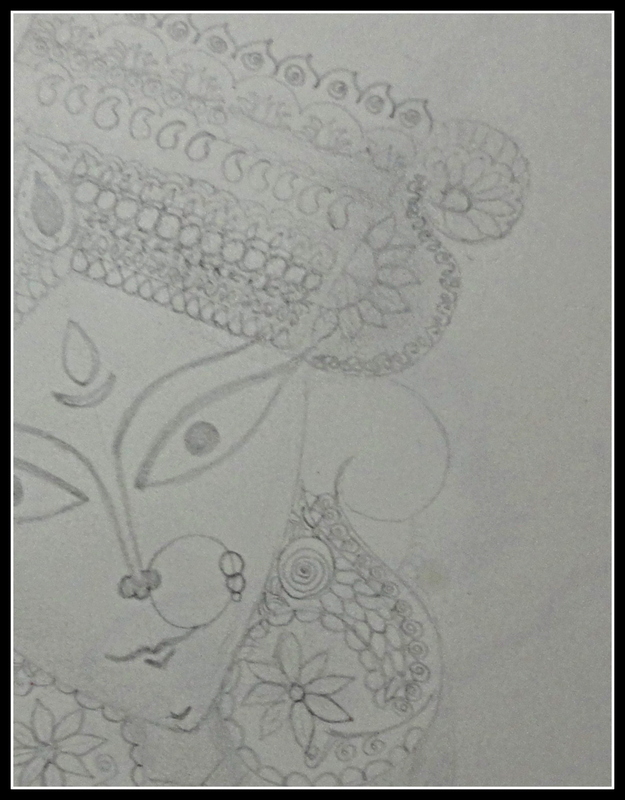 “Durga Maa” This sketch has always been my favourite. I remember I had made several of them and gifted to my family and neighbours. It has always been on my mind. 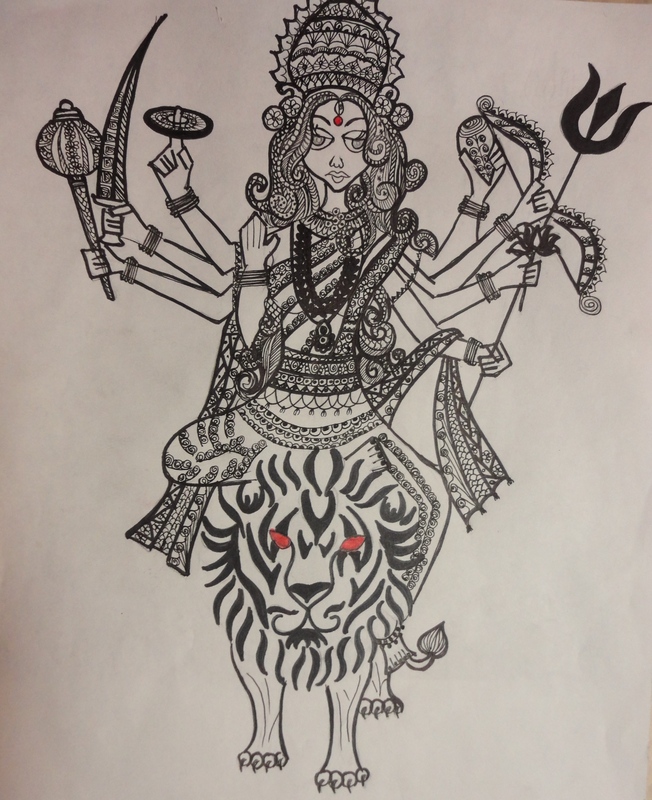 Durga meaning “the inaccessible” or “the invincible” is a popular fierce form of the Hindu Goddess or Devi. 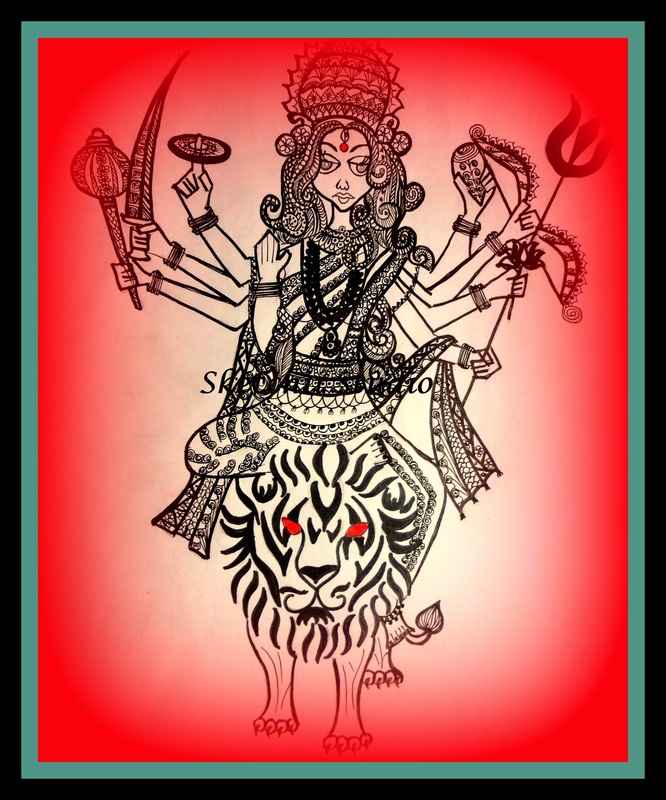 She is depicted with multiple (variously, up to eighteen) arms, carrying various weapons and riding a ferocious lion or tiger. She is often pictured as battling or slaying demons, particularly Mahishasura, the buffalo demon. I started with a pencil sketch. 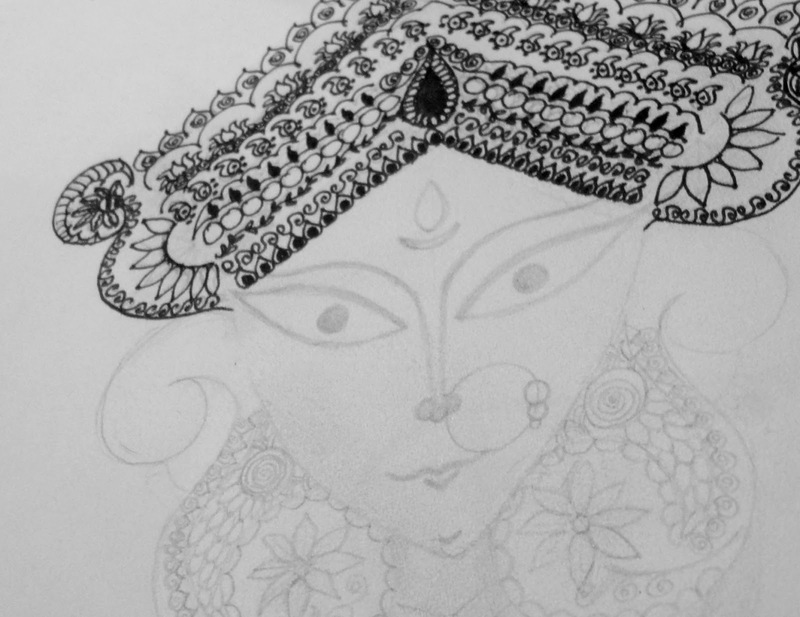 This sketch has a lot of detailing. 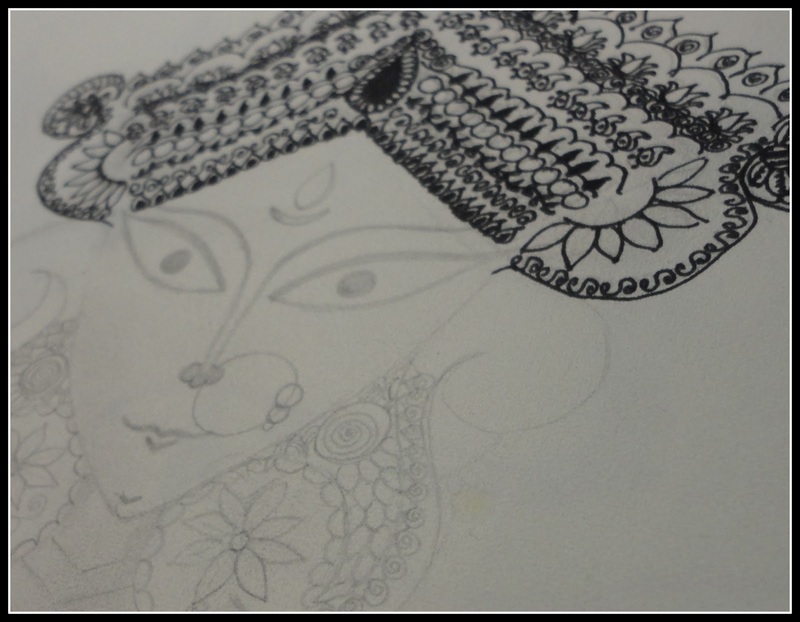 The intricate work on “Mukut” and Jewellery took sometime. 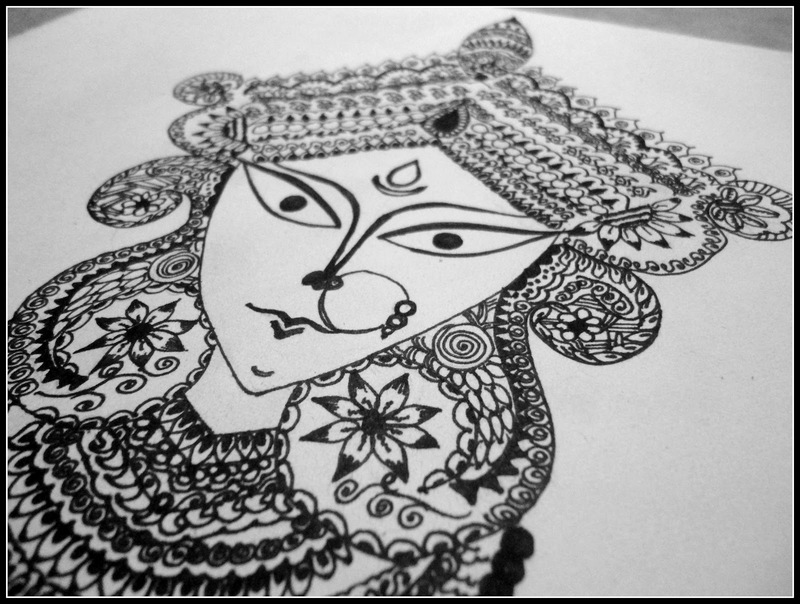 The expression in the eyes of the Goddess are just the way I wanted, angry yet,feminine. 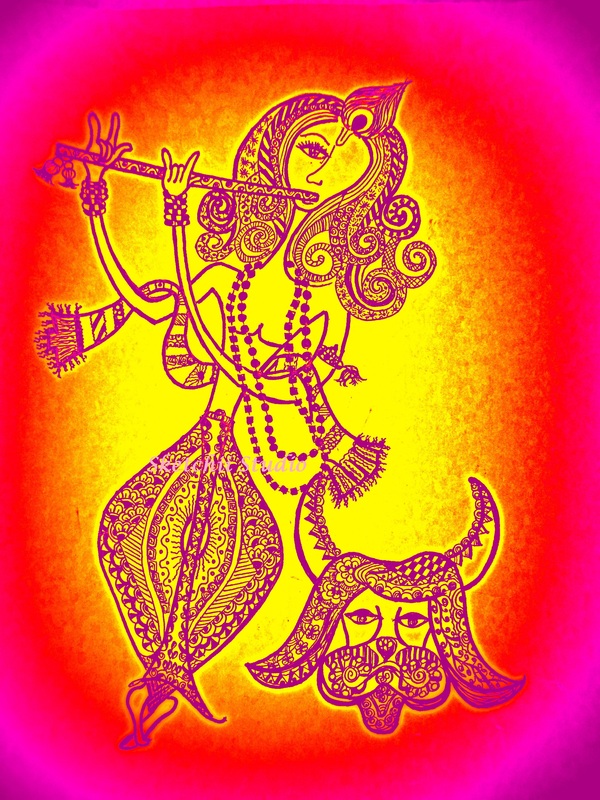 As a goddess, Durga’s feminine power contains the combined energies of all the gods. 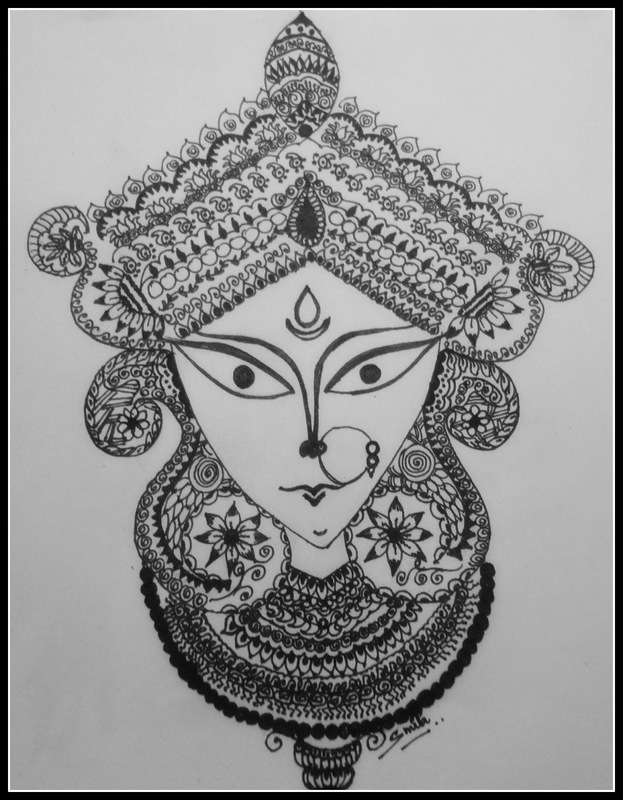 I have loved sketching whole of my life. I just cant believe this is my work. 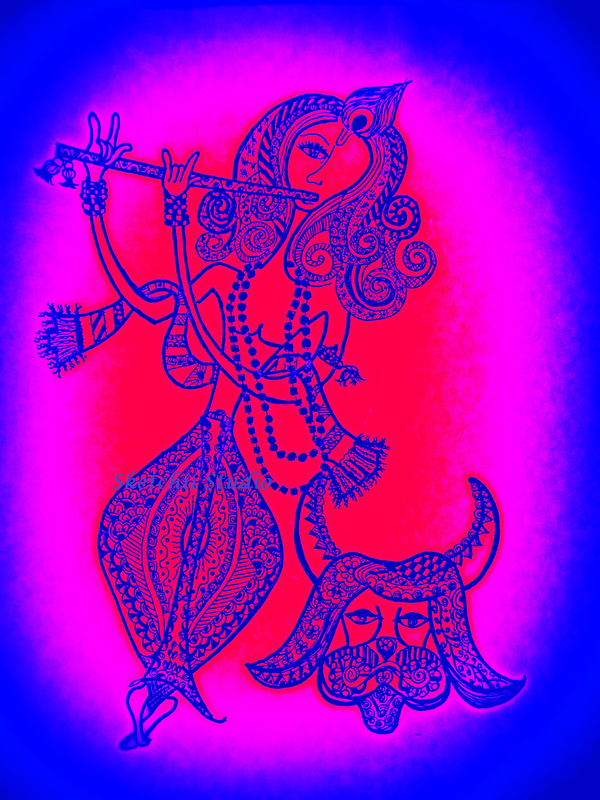 I later added ink to my sketch to brighten the work. It took a differnt shape. Here is the final look. 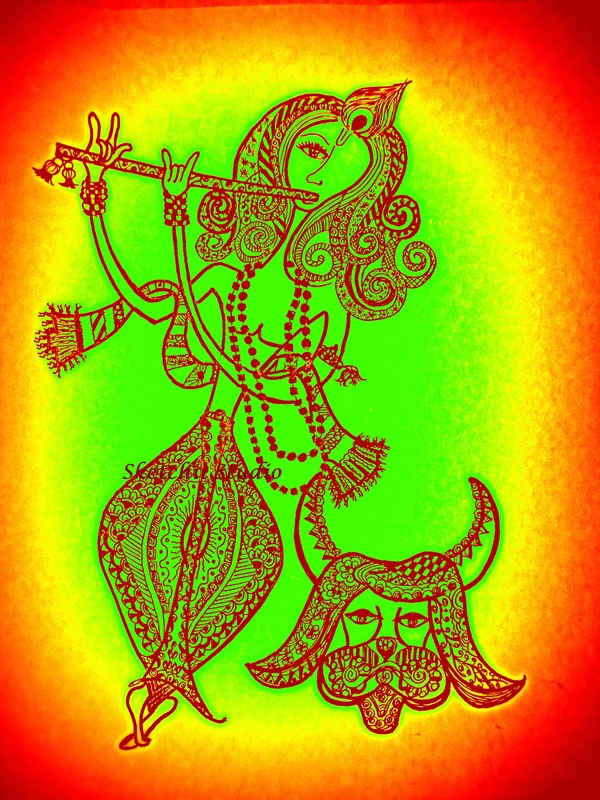 If you like my love for Durga Maa, please leave a comment. I will be motivated to bring up some new work.